Many of our loyal customers may recall that CMM Technology was founded in 1979 in Southern California, committed to serving the region with the very best value in CMM Calibration service. Its “Business Plan” was culminated by two hands-on industry professionals who recognized the need for a responsive and efficient alternative to the CMM Calibration services available at the time. Since then, we’ve strived to continuously improve our products and services. Currently we specialize in cmm calibration, used cmm sales, CMM repair, cmm software retrofits, and cmm accessories. We’re proud of the fact that CMM Technology was the first to offer a low-cost, fixed price calibration (no travel expenses) with a risk-free satisfaction guarantee. In fact, we can currently calibrate and service cmm’s in 22 states without getting on a plane; this means huge savings for our clients! Thanks to you, CMM Technology calibrated 2,000 CMM’s last year across the United States. We have continuously worked to achieve and maintain the highest levels of competence and quality performance. CMM Technology is accredited to ISO/IEC 10725 by A2LA (American Association for Laboratory Accreditation) to perform calibration. Our are traceable to NIST and are performed in accordance with ISO 9001, ISO 10012-1, and ANSI/NCSI Z540. 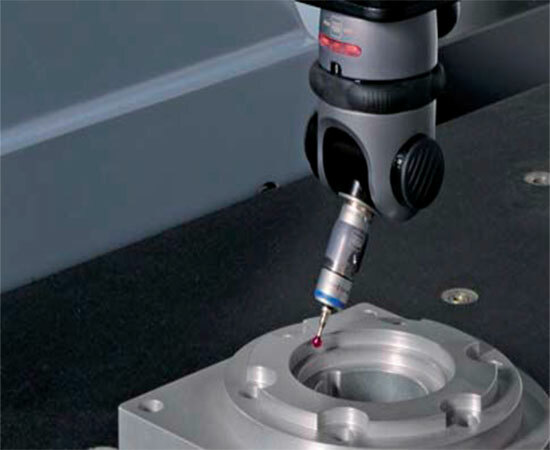 CMM Technology is committed to meeting the quality needs of our customers at the highest level.